Twigs and Leaves was established October 1998 by David Erickson and Kaaren Stoner, husband and wife. With extensive renovation to the century old building on Main Street, in Waynesville, North Carolina, they transformed the 6000 square foot space into a uniquely designed art gallery. 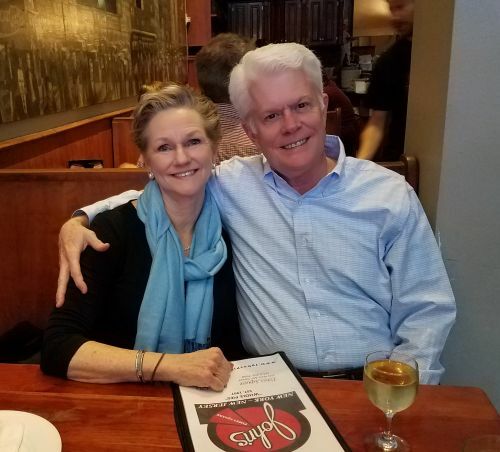 On March 19, 2007, Carrie and John Keith purchased the business revising the name to Nature’s Inspirations dba Twigs and Leaves Gallery. 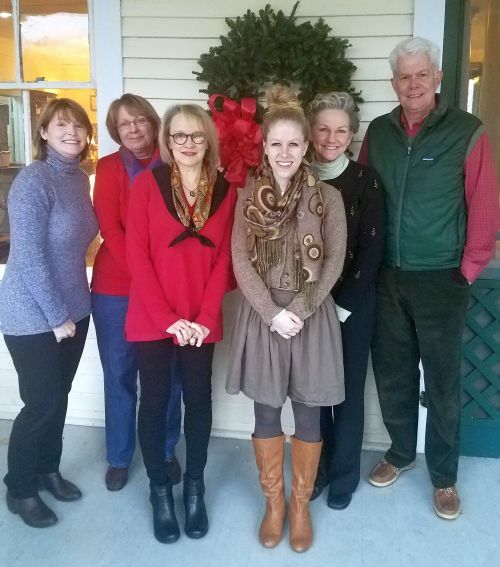 As new owners they moved to Waynesville from Panhandle Florida immediately establishing ownership and residency. Carrie had previously owned a nature/garden/florist shop in Destin, FL making the attraction to Twigs and Leaves a natural partnership. John brought to the enterprise his 32 years of banking and civic involvement. Carrie takes care of the management of the gallery while John is a realtor with Beverly-Hanks & Associates, Realtors. 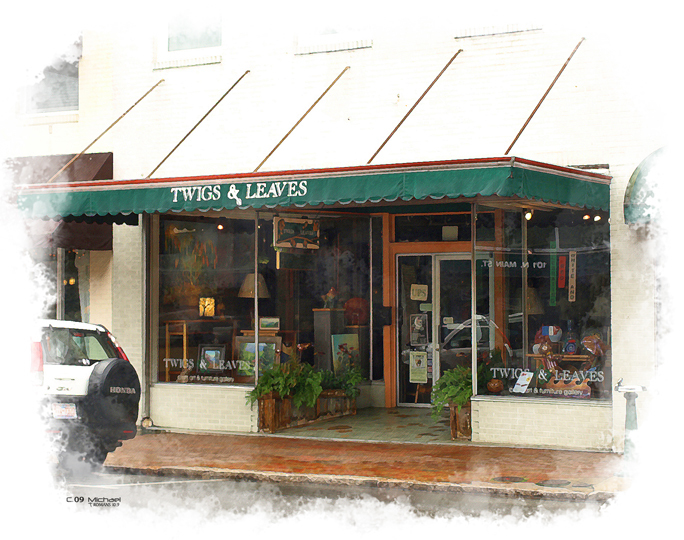 Twigs and Leaves Gallery is very active with Waynesville Gallery Association and the Downtown Waynesville Association holding executive positions as well as participating and supporting the downtown events. Art After Dark, the first Friday evenings May – December, along with Winter Arts Smokies Style January - March, provides an opportunity to feature selected gallery artists. Updates are available through our monthly newsletter, Facebook page, Instagram as well as our website event calendar. “We are blessed to be surrounded by a wealth of talent.” Twigs and Leaves Gallery is very proud to represent some of the most respected artists in the area including Kaaren Stoner, Jack Stern, Bob and Lucy Gibson, Margaret Roberts and Jenny Buckner ~ just to name a few. With the gallery’s positive reputation and continued support of customers, they have received the Best Gallery award by readers of Asheville’s Mountain Express in the years 2009-2017 as well as Business of the Month from the Haywood County Chamber of Commerce in January 2011. Each item in the gallery is handcrafted, one of a kind, by the artists. The function of this website is to give the viewer a taste of the work of each featured artist. Due to the frequent turnover, the images do not necessarily reflect what is available in the gallery at the moment. Photographs of current products are always an option per request and shipping is available either through UPS or USPS, depending on the size of the package. On the artists’ pages, by clicking on the individual items, there is a social sharing button option should the reader opt to participate.